The beers from the famed American brewery; The Bruery, were released at Carwyn Cellars on Friday. Naturally I picked up a few of their offerings (read all 8 that they brought out...). The first one I'm cracking into is Jardinier, their Belgian Pale Ale. As I predicted, these levels of Riding Steady are coming thick and fast! The fourth level was unlocked by this Belgian Pale Ale. 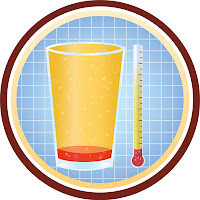 For those of you unaware, Riding Steady is a new Untappd badge for drinking different beers under 5% ABV. 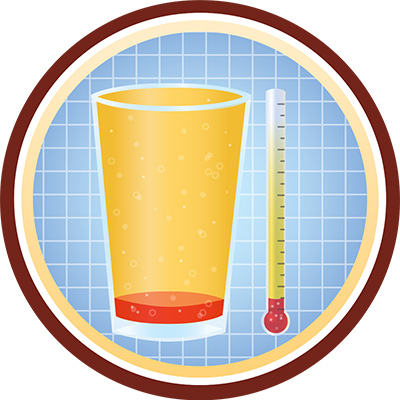 As a regular sour drinker, I know that this badge will be gone in no time at all! It's pretty hard to fault the pour of The Bruery's Jardinier. It's spot on for the style; with a hazy golden body topped by a small, but firm, white head. The head develops large bubbles as time passes, but a thin layer of foam remains atop the beer throughout drinking. This foam leaves a light lacing behind on the glass. If I was asked what a Belgian Pale Ale should look like; I would show a photo of this beer, it's just about perfect! Onto the nose and it's quintessential Belgian Pale Ale! There's this wonderful floral aroma that dominates the nose. It is complimented by some pepperiness and light grassiness. The malts are bready, and more dough-like than bready (if that makes sense), while the usual Belgian yeast suspects are there. Jardinier tastes very similar to the nose, just with an added citrus element from the hops. The light bready malts and Belgian funk are complimented beautifully by the hops - with floral notes dominating and the aforementioned citrus, predominantly lemon, coming through at the end with some pepper. Belgian Pale Ale's are a style that constantly gets overlooked in this country, and I assume in most markets outside Belgium. This beer was everything that I want in the style; light malts, flavoursome but not bitter hops, lightly funky and wonderfully refreshing. 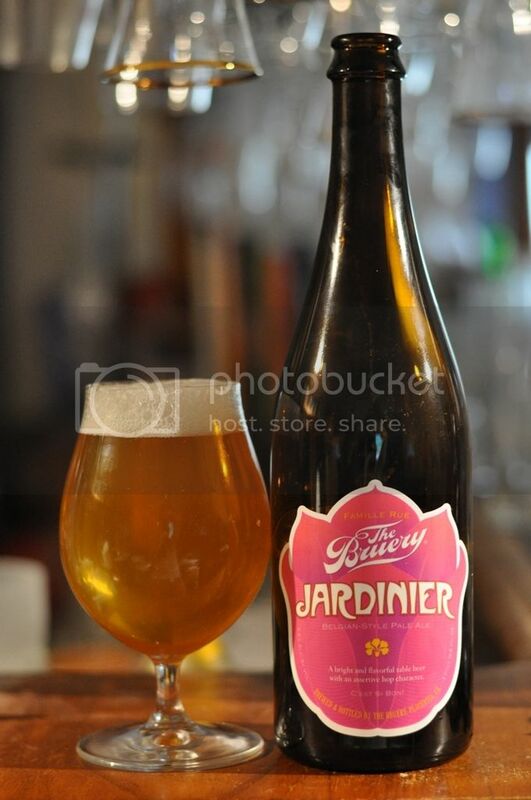 Jardinier is french for gardener, and this beer would be the perfect beer to drink after doing some gardening, or simply sitting in the garden on a warm afternoon. I think it's the cheapest of the offerings that made it out here from The Bruery as well.